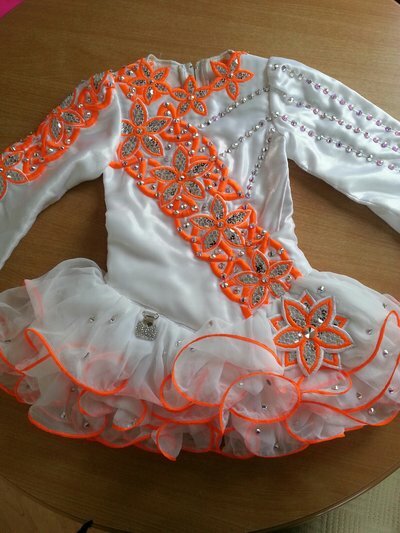 Gorgeous White and Bright Orange Gavin with lots of swarovski crystals! Stunning on stage! Comes from smoke free and pet free home. Sadly must sell due to growth. Purchase includes white spankies. Available December 2014. 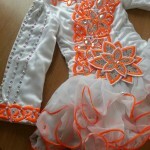 Can provide measurements while dress is on dancer. Extra fabric available to alter length and/or width.